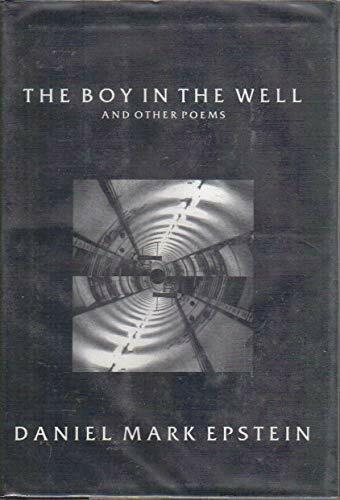 "The Boy in the Well," Daniel Mark Epstein's sixth book of poetry, gathers the intimate lyrics, inquisitive odes and powerful narrative poems of a decade, works that transform autobiography into living legend, that rediscover classic myths and legends, and recreates them in vital American language. Alongside an elegy for a gangster and a terrifying account of teenage sisters sexually assaulted and murdered, there are meditations on the mysteries of the pyramids, the hanging gardens of Babylon and the tragic life of the Greek sculptor Phidias, who made "stone centaurs so real they cracked to breathe." Danger is real and palpable in these poems, especially for the artist, the entrepreneur and the adventurer, whose ambitions tempt fate. Here in print for the first time is the dramatic dialogue from the ballet "Jacob at Peniel," which premiered in 1987, as well as the vibrant sonnet sequence written to accompany Vivaldi's "Four Seasons," first performed by the Baltimore Chamber Orchestra in 1990. Epstein (Young Men's Gold) has two focusses in this short collection that tend to obstruct rather than enhance each other. There are domestic poems that deal with family members, children, a professor, a student. These are proficient, but, like the boy of the title poem, seem lost in the larger context of their surroundings. Limiting their light are higher-browed pieces that deal in ancient mythologies and interpretations of objets d'art, e.g., Vivaldi's "Four Seasons" and the paintings of Chagall. These poems do not reinvent the original works so much as invite the reader to revisit them. The best treat in this poet's bag is his keen sense of word placement. Besides a nicely honed and haunting sestina that could trigger any son's angst ("The Inheritance"), there are several sestina variations where repetition of key words or ideas click in the heart, providing the sensation of an epiphany without the actual experience.